As well as red carpet fashion, hair and makeup are very much in the spotlight at the Cannes Film Festival. This year, the bob was a major hit at the Riviera event -- with messy, graduated, wavy and classic styles -- along with natural makeup looks. Rather than braids, revisited ponytails or perfectly styled messy dos, the bob was the star hairstyle of the Cannes Film Festival. 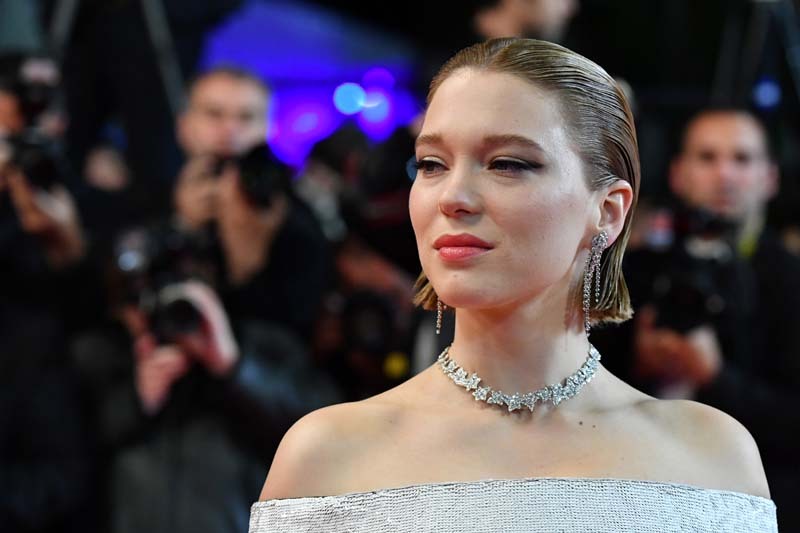 This glamorous and chic cut brought something different to the Cannes red carpet this year, giving stars a touch of that much-revered classic French style. Léa Seydoux, Anja Rubik, Marion Cotillard and Leïla Bekhti all rocked bob haircuts, although in very different styles. Chignons are always a hit at Cannes, and there was no shortage of stylish buns and updos this year. They came in all kinds of styles, from Kristen Stewart's rebellious rock'n'roll updo to Cindy Bruna's classic polished style and Hailey Baldwin's colorful messy bun. Echoing current beauty trends, makeup looks were mostly natural at Cannes, focusing on eyes rather than lips, with a host of pale shades. Pink eyeshadows, often in pastel hues, as well as beige, bronze and light brown tones, were a hit at the festival. A few more vivid shades (green, purple, blue) brought touches of color to the red carpet. With the exception of a few striking reds, lips were mostly natural at Cannes this year. Here too, pinks and nudes stole the show for 2018 festival style.